Whether you’re a front-line sales rep hunting for new business, a consultant delivering solutions, or small business owner communicating with customers, board members and employees, it’s all about selling: selling to win new business or selling to retain customers in an increasingly competitive marketplace. 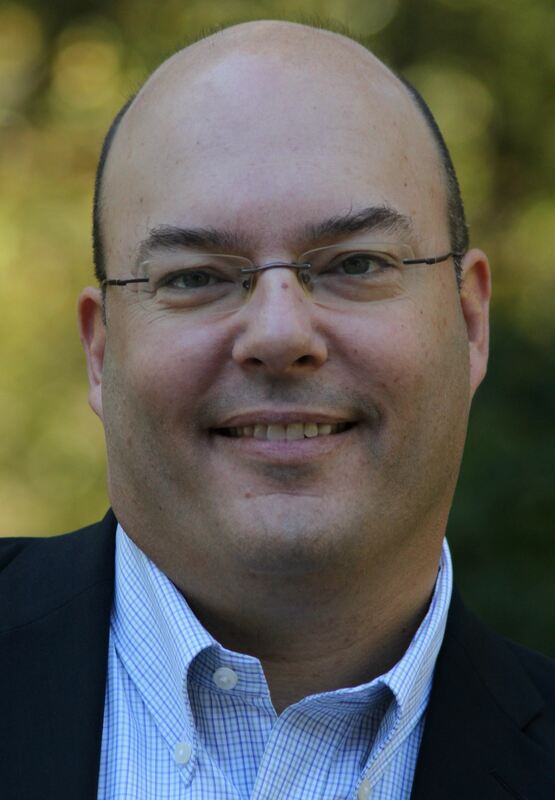 So what’s the deal with the buzz around emerging Sales 2.0 solutions? Which approaches are best able to ﬁll the pipeline? How can you integrate informal networking with the latest technologies? 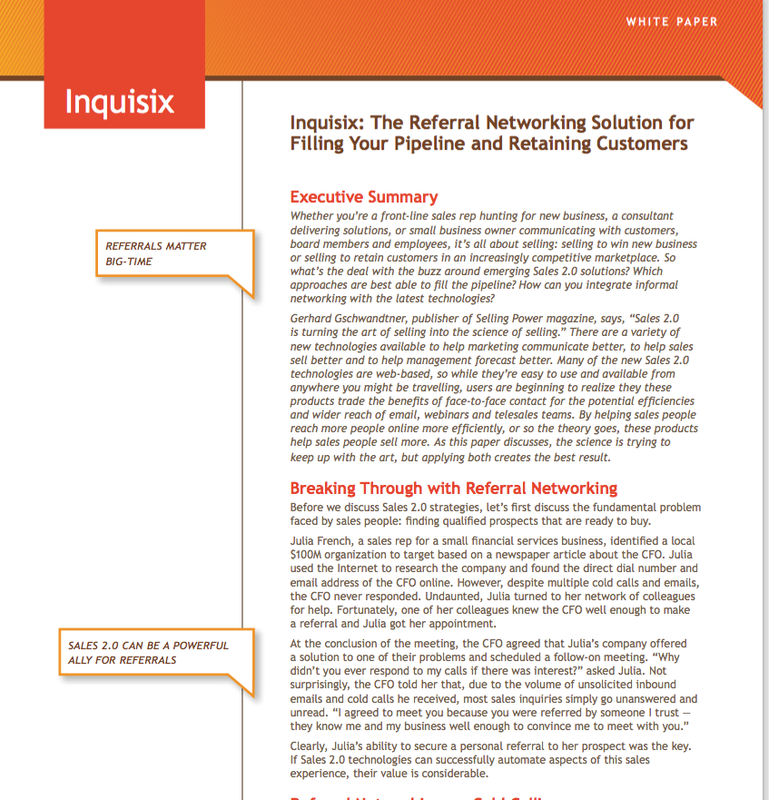 This White Paper by Michael Kreppein, Inquisix’s Chief Sales Officer, explores the value of referral networking by using Inquisix to combine your in-person with your online networking. Please download the White Paper in pdf format by clicking the link below.